This charming economy condo is on the same level as the lobby and faces the front of The Powderhorn. 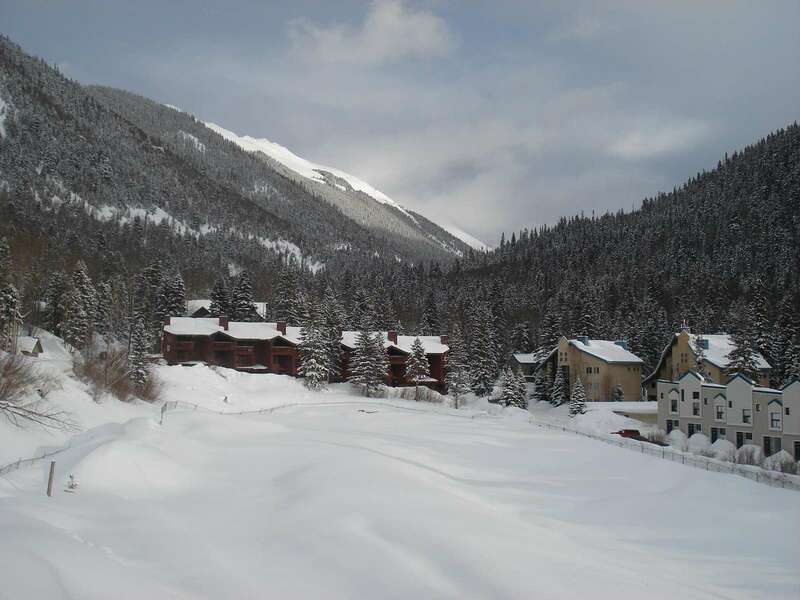 It has magnificent mountain views of Wheeler Peak, the lower ski slopes, and the center of Taos Ski Valley from the bay window. This condo offers a king sized bed. There is storage space for clothing & ski wear. The condo includes a small refrigerator, a counter-top oven, a microwave, a coffee maker and a toaster. 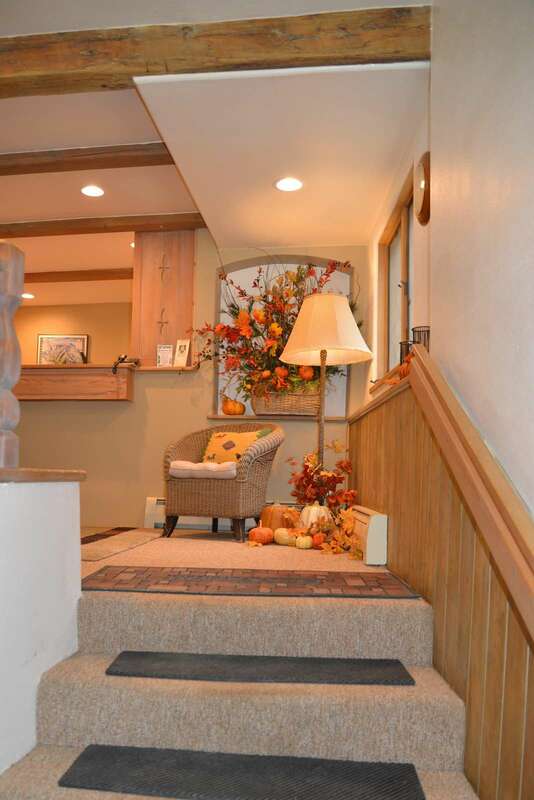 There is a charming bay window which offers a view toward Wheeler Peak and Al's Run. The bath features a separate sink as well as a compartmented area for the shower & toilet. This condo is ideal for an individual or a couple who aren’t interested in preparing complete meals. Occupancy for this condo is 2 persons. 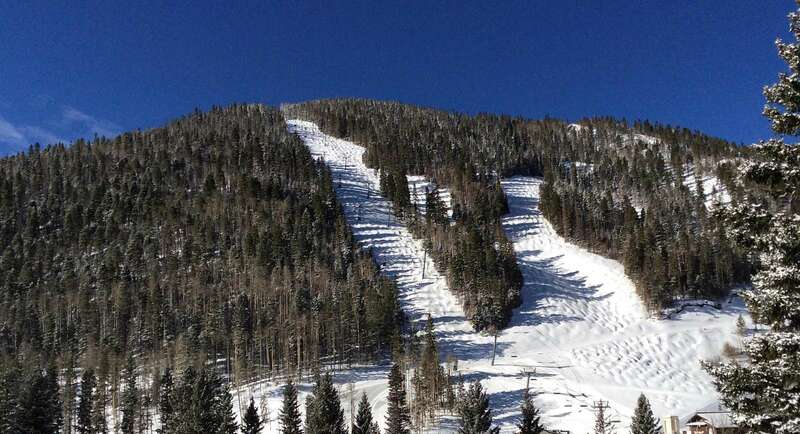 The Powderhorn is located just 350 feet to the Taos Ski Valley base village. For your convenience, please park in the carport during check-in, then once you are finished unloading, please move your car to the designated parking lot across the building. Starting April 15th, 2019 please leave your car in the public parking area. 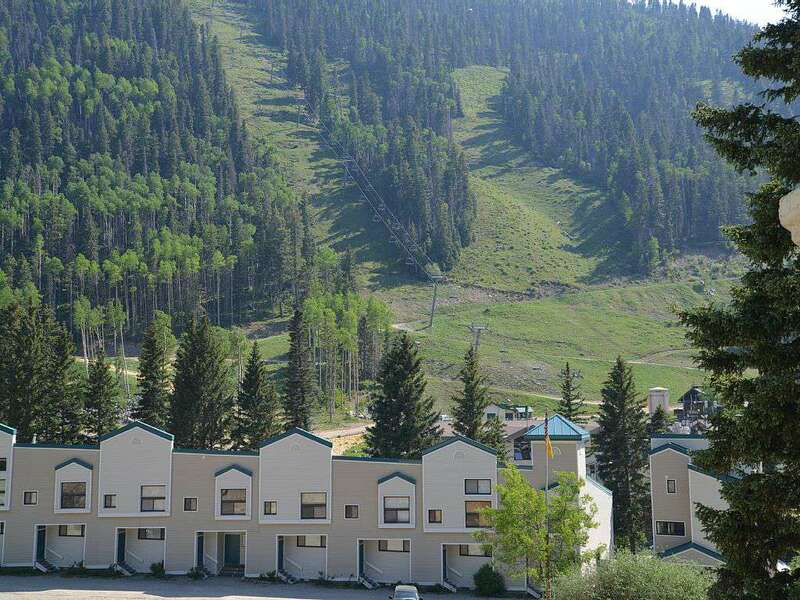 Leave your car behind and walk to hiking & biking trails, skiing, shopping and dining. We had a great 2-night stay in this condo. 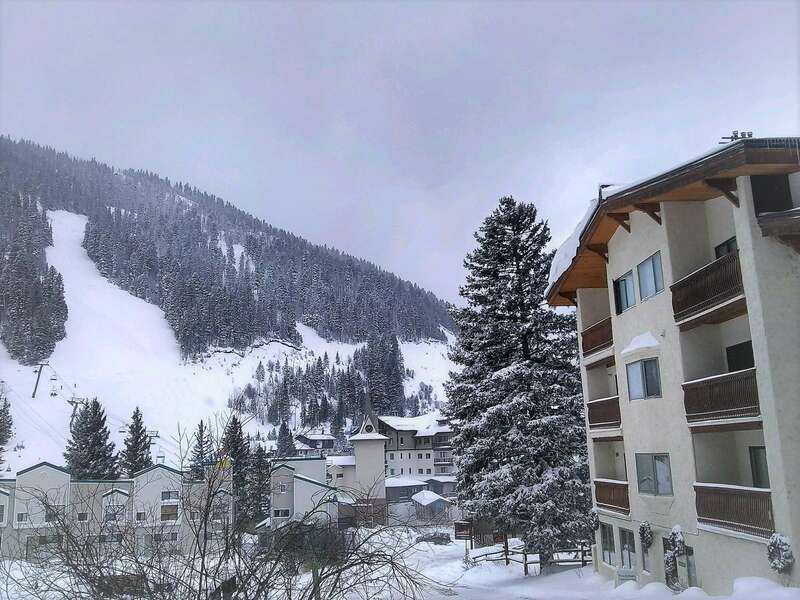 Super close walk to the slopes and restaurants. Enjoyed our stay, perfect size for 2 people for a few nights. Great customer service and quick responses from Barbara. We loved our stay! Room 202 was a perfect and spotless room! The room was very close to the ticket purchasing office and the main lift! We will definitely stay there again! An excellent place nestled within Taos Ski Valley; my wife and I will definitely be coming back. Thank you. Very cozy, very clean, and well appointed. I appreciated having a mini fridge, microwave, and full set of dishes. While I only stayed for one night, the option to make myself breakfast in the room was much appreciated. 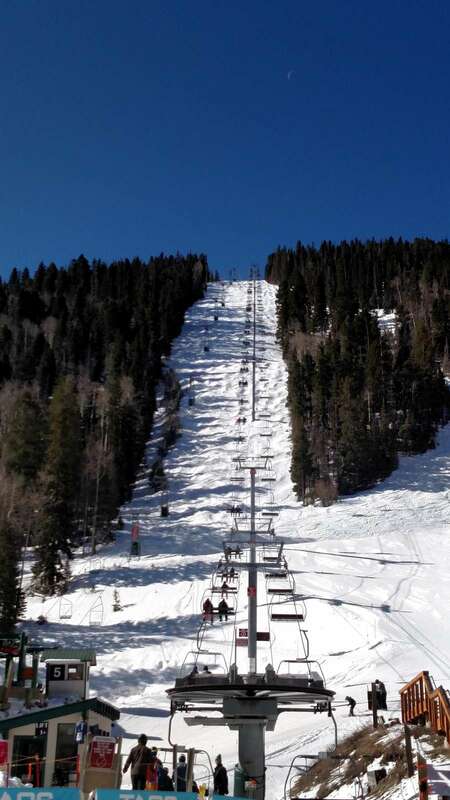 The location is great for accessing Taos Ski Valley or the nearby trails. Bookings cancelled at least 30 days before the start of stay will receive 100% refund. Bookings cancelled at least 14 days before the start of stay will receive a 50% refund. Bookings cancelled 14 days or less before the start of stay will not receive a refund. 50% deposit at time of booking, balance due 30 days prior to arrival. 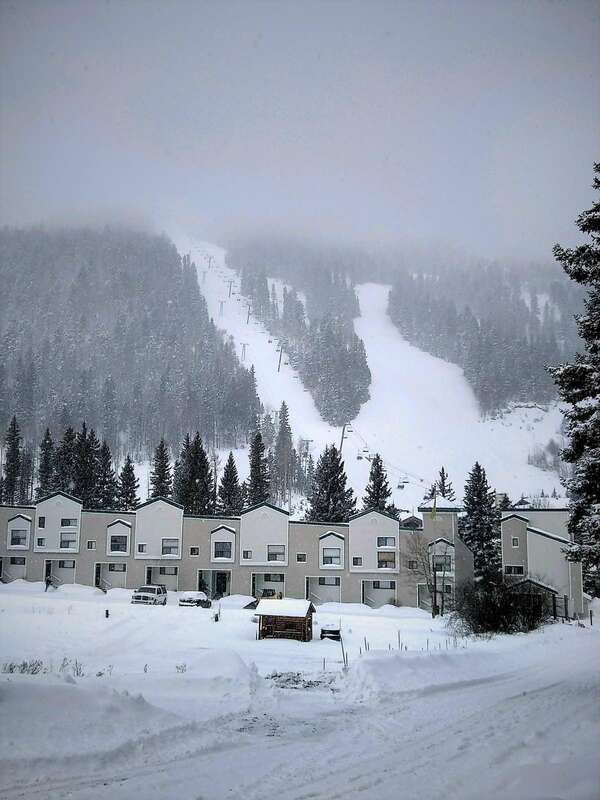 A reservation is not guaranteed until confirmed by Powderhorn Vacation Rentals. The minimum age to make a reservation is 21 with a valid credit card. At least one person at check-in must be at least 21 years of age.